My research has been recognised by the Academy of Management (Nomination for the Carolyn Dexter Award from Technology and Innovation Management Division) and the International Society for Professional Innovation Management (ISPIM – Top 3 doctoral dissertation award). I enjoy teaching topics in technology, innovation, and strategy. My teaching has been recognised by a number of awards including the Chancellor’s Award (City University’s highest award in recognition of excellence in learning and teaching), Cass Business School Learning and Teaching Award, and the Student’s Union nomination for excellence in teaching. Before joining Cass, I worked for a number of years with leading firms in the software industry (SAP and Accenture). I have widely consulted and lectured at various industry and academic forums on innovation management, Software as a Service (SaaS), distributed product development, outsourcing and offshoring strategies and business environment in India. 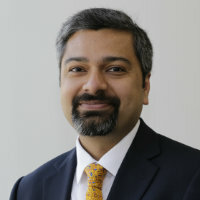 Banerjee, A. (2014). The roots of organizational ingenuity: How do qualitatively superior ideas come about? Handbook of Organizational and Entrepreneurial Ingenuity (pp. 15–33). ISBN 978-1-78254-903-1. Banerjee, A., Lampel, J. and Bhalla, A. (2017). Problematizing Problmistic Search: An Experimental Study of Search Heterogeneity. Lampel, J., Ronen, D. and Banerjee, A. (2017). Category Non-Conformity and Reputation Risk Taking in the Scotch Whisky Industry. Banerjee, A., Lampel, J. and Bhalla, A. (2017). Employee Ownership Schemes as Resilience Signals During Economic Crisis and Recovery. Banerjee, A. and Burdon, S. (2016). Exploring the role of organizational constraints on creative routines at ABC and BBC productions. Lampel, J., Ronen, D. and Banerjee, A. (2015). Resource Substitution and Strategic Factor Market Dynamics in the Scotch Whisky Industry. 75th Academy of Management Annual Meeting: Opening Governance 7-11 August, Vancouver, BC, Canada. Banerjee, , Bhalla, A. and Lampel, J. (2014). Choosing which battles to fight: An attention-based argument for the diffusion of a competitive action. 34th Strategic Management Society (SMS) Annual International Conference 20-23 September, Madrid, Spain. Banerjee, A., Lampel, J. and Bhalla, A. (2014). The Evolution of Absorptive Capacity Routines in Corporate R&D Subsidiaries. 74th Academy of Management Annual Meeting 1-5 August, Philadelphia, Pennsylvania. Banerjee, A., Lampel, J. and Bhalla, A. (2014). ""There's got to be a better way": Aspirations, constraints, and the discovery of new routines". 74th Academy of Management Annual Meeting 1-5 August, Philadelphia, Pennsylvania. Parmar, D. and Banerjee, A. (2019). Impact of an employment guarantee scheme on utilisation of maternal healthcare services: Results from a natural experiment in India. Social Science and Medicine, 222, pp. 285–293. doi:10.1016/j.socscimed.2019.01.028 . Banerjee, A., Lampel, J. and Bhalla, A. (2018). Two cheers for diversity: An experimental study of micro-level heterogeneity in problemistic search. Strategic Organization. doi:10.1177/1476127018815467 . Lampel, J., Banerjee, A. and Bhalla, A. (2018). Ownership Effect Inquiry: Evidence Report..
Lampel, J., Banerjee, A. and Bhalla, A. (2017). The Ownership Effect: What Does the Evidence Tell Us. London. Lampel, J., Banerjee, A. and Bhalla, A. (2017). Ownership Effect Inquiry: Evidence Synthesis Report..
European Management Review, Referee, 2017 – present. California Management Review, Referee, 2017 – present. Track chair - Cultural and Creative Industries at British Academy of Management, Track chair - Cultural and Creative Industries at BAM, 2017 – present. British Journal of Management, Referee, 2017 – present. Academy of management conference. (Conference) Vancouver, Canada (2015). Invited speaker. Strategic Management Society Conference. (Conference) Madrid, Spain (2014). Invited speaker. Academy of management conference. (Conference) Philadelphia, USA (2014). Invited speaker. Academy of management conference. (Conference) Philadelphia (2014). Invited speaker.